Falling in love with a special piece of jewelry is no different than any other love story. A streamlined ring, aglow with its mix of stones and silver. Click Here to Read About Our Newest Bridal Ring line! At Herkner we are committed to providing unparalleled service, customer education, and a passion for jewelry of superior style, quality, design, and artistry. Our dedication to jewelry has been a Herkner hallmark since 1867. 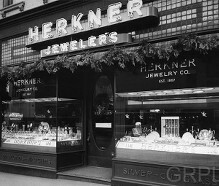 Since beginning in downtown Grand Rapids in 1867, Herkner Jewelers has established a tradition of excellence that has earned the trust and loyalty of generations of customers.